Calcium/phospholipid-binding protein which promotes membrane fusion and is involved in exocytosis. This protein regulates phospholipase A2 activity. It seems to bind from two to four calcium ions with high affinity. 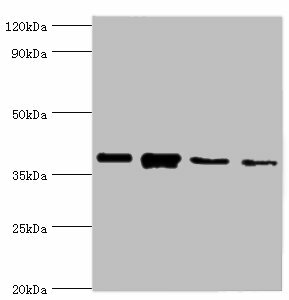 Anxa1 Polyclonal Antibody. Unconjugated. Raised in: Rabbit.